Natureboy Flako - Theme For A Dream. Vinyl LP. Bleep. 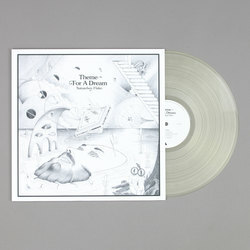 Where his previous recordings lent toward the sort of polyphonic rhythmic possibilities on offer from the splintering post-dubstep beat scene, 'Theme For A Dream' finds Flako fully adopting the Natureboy persona that was at the heart of his debut album, for an eight-track record that blends zig-zag jazzy bangers, spectral after-hours smokey expressions and 8-bit electronics, all executed with a mind fully focused within the teachings of a soulful, funk and fusion sound that stands as his core influence. Keeping the rack mounts in his Berlin studio fully occupied, the sonic wizardry on 'Theme For A Dream' was made with extensive use of old and new analogue equipment such as the Juno 106, Korg's MS-20, ARP Odyssey or Roland’s SH-2000 synthesisers, alongside recordings of vocals, guitars and other instruments. This serves to create a dynamic and eclectic sound spectrum, all unique to his musical handwriting. Opener 'From the Shadows' switches lane between breakneck snares and some serious bass tones that sound like a high rolling hip-hop refix of Kamasi Washington. This is sharply followed by 'Stream of Being' where the beats melt away on to leave something that sounds like Susumu Yokota's Acid Mt. Fuji gone prog in a post-global warming world. 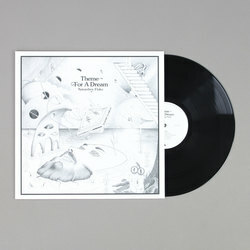 'Theme for a Dream' continues with the big band style bass drops but mixes in some sparkling arpeggios that lay the groundwork for the beautifully toned selection of 'Nebulous Garden' which carries the spirit of fusion and funk while crying out for some sort of soundtrack inclusion. This switching between the multi-layered beats and more lost in the groove passages continues throughout the record giving it a complex feel so that you never really know what Natureboy Flako is going to spin your way next.